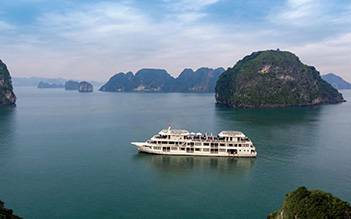 A two-day tour, one night cruise to Bai Tu Long Bay is an ideal way to discover the natural beauty and local life on a limited time schedule. You will get to visit an enchanting cave, going through a magnificent limestone islands. This trip takes you deep into natural wonder to experience a memorable experience and relaxing night on the majestic bay. 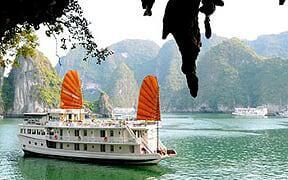 07:40 – 08:00: Optional pick up at your hotel (near the Old Quarter in Hanoi) by Luxury van. Just give in to team Dragon Legend and let them take care of you . Exceptional experience from the time we landed to the time they dropped as back. I would like to thank who took my initial email inquiry to each and every player ( JD , ship members . captain , chef all ) First time ever i kayak in here , that was magical . I lost my mobile phone ( LG V 30+ in that water - that was sad ) But hey we evolve with our experince - take care of your gear and prepare before going in the waters . Thank you guys . I will be back . 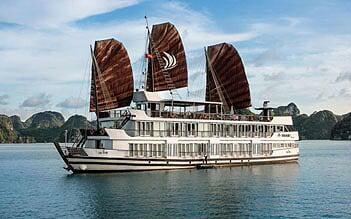 Great cruise around Halong Bay. We took 2 days 1 night package. Cruise staff make big efforts to make our experience memorable. Staff is really kind. 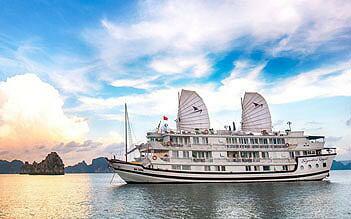 The itinerary was also great, we didn't share with other cruises the way so our experience was really authentic. Also kayaking was also fun. Only one issue was the food. Even though the food was really good cooked, they don't have any Western food option. 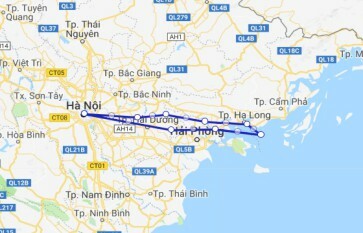 Our overall experience with Indochina junk was wonderful. 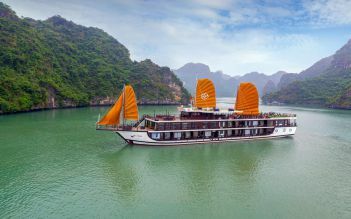 My wife and I along with our 11 year old daughter did the 2 day 1 night cruise to Bai Tu Long bay on the Dragon Legend 2. 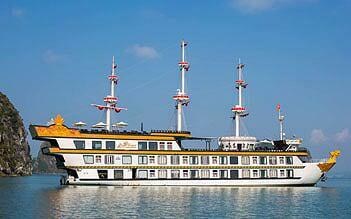 Wonderful boat with fantastic facilities and a well thought out itinerary. Loved the late afternoon kayak to the beach returning in time for the sunset. The food exceeded our expectations...tasty and plentiful. What made the experience special were the crew, whose enthusiasm and friendliness made all on board feel like one of the family. Thanks to JD for his total professionalism and attention to detail ( and his sense of humour ) Milkman for his permanent smile and awesome magic tricks! On a serious note, we were impressed by the obvious importance placed on safety whilst on and off the boat. We felt very safe in the hands of the awesome crew. Our only disappointment was not booking the 3 day 2 night.....next time we will ! 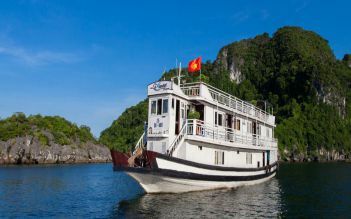 did the 1-night 2-day Bai Tu Long Bay Cruise on DL2 with Mr Harry Potter, Smiley, and Andy as our tour director/guides. Everyone was super nice, really great with our kids. My older son (almost 4) had a blast - went swimming in the pool on board (great - nobody else was using it so he had it all to himself). Staff was super helpful and everyone spoke english. Room was really nice, quiet, comfortable. High chair and kid food for our 1-year old and 4 year old every night was awesome. Food was great. Bring crappy shoes for the "cave visit" cuz they will get trashed. Everyone in a fun relaxed mood the whole time, no complaints. Would def. do it again and hope to come back soon!